calls on their handheld. The PSP has built-in wireless internet access so Skype calls could be made from any Wi-Fi hotspot. The news was broken on Sony's website, where no details where given whatsoever other than that an announcement will be forthcoming at this year's Consumer Electronics Show (CES), which is held in Las Vegas. The Sony press conference starts at 4pm Vegas time (12am UK) on Sunday 6 January. We'll be there to bring you full coverage. Until Sony clarifies this issue, the inclusion of Skype on the PSP is likely to raise a few eyebrows among the gaming community. A little over four months ago Sony announced plans to launch a different VoIP service: GoMessenger. Originally due for release in January 2008, GoMessenger was a collaboration between Sony and BT. 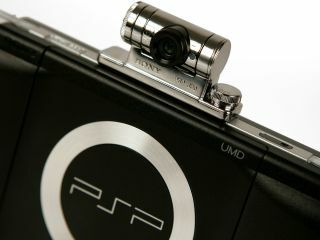 The two companies said GoMessenger would use VoIP technology to communicate with other PSP users anywhere in the world. And much like Skype, GoMessenger would be a free service that connected to any wireless internet connection. But unlike Skype, where a separate program is needed to use the service, Sony said a future firmware upgrade for the PSP would place an application on its XcrossMediaBar. Once connected to the internet, gamers would, in theory, be able to instant message their friends with the help of an on-screen keyboard, to which a headset could be connected for voice chatting and voice messaging. To make video calls, Sony also announced the GoCam, which it said would be sold separately and attached to the top of the PSP. So has Sony scrapped GoMessenger and replaced it with a ported PSP version of Skype? Or will the two services run happily alongside each other? As soon as we know, you will too.